Over the course of the weekend, Saturday and Sunday, we offer a choice of 36 x 45 minute taster workshops. To allow you to make easy choices from the topics we offer they are divided into three distinct sections. All the material in the first column is accessible to everyone, irrespective of their experience level, the topics are also particularly suited to beginners. The middle section offers material which will inform your practice, irrespective of style. From investigating the essential principles of the art to safely-structured partner exercises you will gain a deeper insight to both the meaning and purpose of these arts. 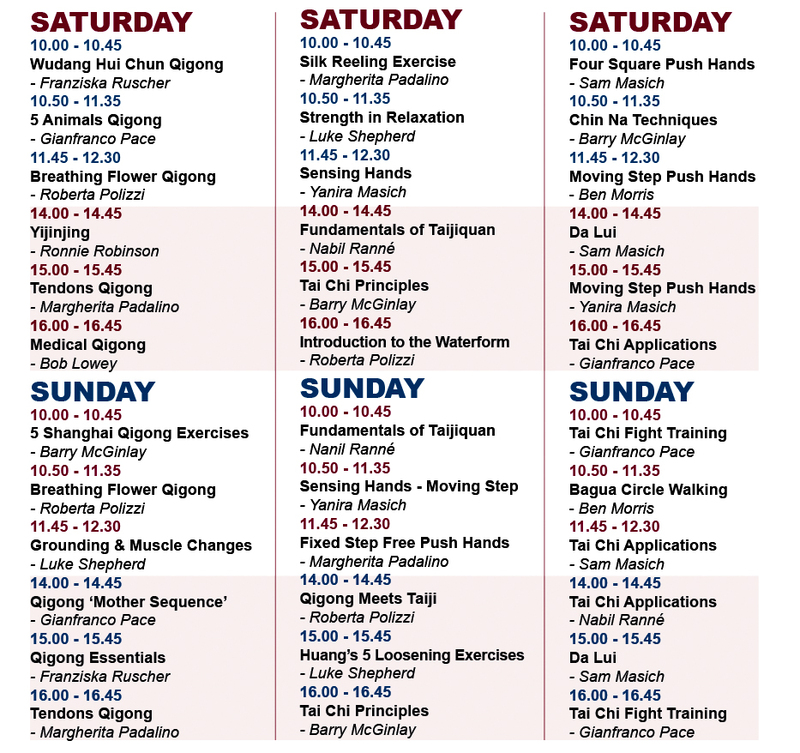 The third column offers you an opportunity to experiment with the practical application of the art, from basic partner training techniques to realistic self-defence applications.